A holiday in the Nature Park Region of Reutte stands for ultimate relaxation and a huge variety of recreational offers or activities in one of Tirol's most beautiful spots. Its north-western location close to the Bavarian Allgäu border area adds to a very special holiday feeling. Mighty peaks, picture-book Alpine lakes, crystal clear waters and wonderful nature exploration are waiting for guests of all ages and preferences. Summer in the Tirolean mountains is made to measure for active holidays on endless panoramic trails and walking routes. In the winter, the area lends itself to outstanding cross-country skiing, superb Alpine skiing or dreamlike winter walking far away from mass tourism and the hustle of everyday life. Clear mountain lakes, varied sports and activities, endless hiking trails as far as your eye can see: Tirol's mountains make a real paradise for hiking aficionados, comprising some 400 kilometers of perfectly signposted walking routes at all altitudes. What's best, there is something for all ages and ability levels. Water fun is guaranteed as well thanks to wind surfing, sailing or boating for all the family. Additionally, the superb Nordic Walking Park has nine different theme routes. Culture fans can choose from many highlights in Reutte and its scenic surroundings, like "Das grüne Haus" local heritage museum or "Dem Ritter auf der Spur" adventure museum. Countless traditional inns serving regional specialties, homey bars, cafés, shops and historical buildings promise a marvelous day in Reutte's historical town center. The Hahnenkamm ski area boasts skiing terrain for all levels – dreamlike ski slopes and panoramic tracks for the whole family await you here. The mountain lifts of Reuttener Bergbahnen give access to the splendid winter sports area. Numerous quaint mountain huts and inns are spread all over the ski region. Those in search of a more leisurely pace are recommended to hit the perfectly groomed cross-country skiing trails while picture-book winter walking routes take hikers to the most scenic spots, hidden between the mighty Alpine peaks and valleys. Reutte's excellent restaurants and inns serve mouth-watering delights and fine regional specialties. Welcome to Reutte! 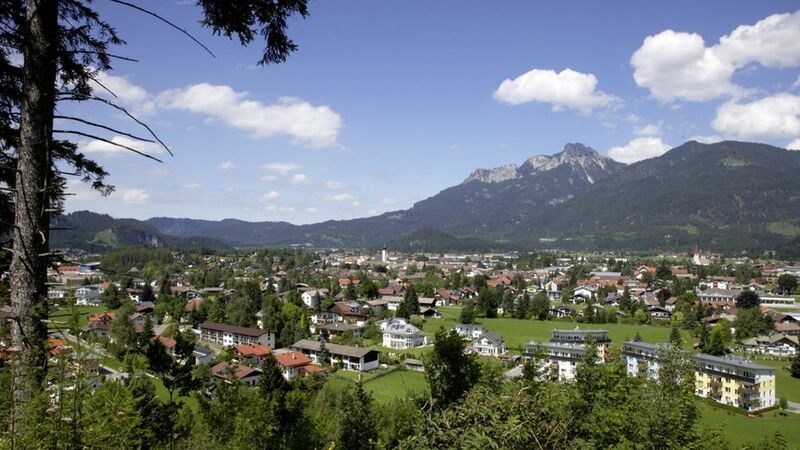 The lovely town of Reutte is located in the north-western part of Tirol. Majestic mountains, crystal-clear lakes, and warm hospitality combine to create a paradise for holidaymakers. This is the perfect area for pursuing your hobby including windsurfing, sailing, swimming, fishing, climbing, gliding, paragliding, tennis, walking etc. A lift gives access to Hahnenkamm mountain where a unique Alpine Flower Garden (1,700m) and the first Alpine barefoot trail of Tirol are waiting for you to be discovered! 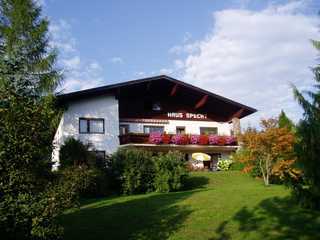 At the foot of Hahnenkamm mountain there are plenty of cafes, inns and hotels catering to the hungry and thirsty hiker. The Allgäu-Tirol Hiking Card covers 12 gondolas and chairlifts giving access to wonderful hiking trails. Enjoy the best the north-west of Tirol and the Allgau have to offer with just one card! Enjoy free use of all mountain transport facilities within the Reutte holiday region, Tannheimertal valley, Lechtal valley, Pfronten, Nesselwang and Hindelang, free entry to the regions´ swimming pools, the ice sports hall in Pfronten and many useful discounts on sports and leisure facilities. Welcome to Reutte! The beautiful town of Reutte lies in the north-western most part of Tirol. It boasts a unique mountain scenery, crystal-clear lakes, unspoiled nature and genuine hospitality - simply, the no. 1 resort for a relaxing vacation. In winter the ski lift from Reutte will take you right up to the family friendly Hahnenkamm ski area. The ski pass entitles you to use of 81 ski lifts. Indulge in sports and activities. We offer a huge indoor pool with sauna and tanning studio, ice skating rinks, 50 km of X-country skiing tracks, indoor tennis courts, squash courts and gyms. The magnificent Bavarian Kings´ Castles are within easy reach. A7 motorway from Stuttgart - Ulm - Kempten - through the Füssen/Vils tunnel - exit Reutte Nord - Reutte. To get to the towns of Lechaschau, Wängle, Höfen and Weissenbach drive towards Lechtal. You pass the towns of Pinswang, Musau and Pflach on your way to Reutte. Breitenwang and Ehenbichl border on Reutte.